I like sparkly things (Who doesn't?! ), and monograms are SO in this season and yet totally classic. 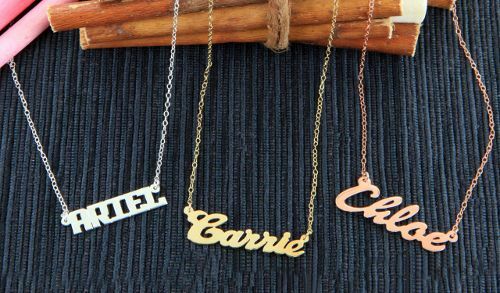 This Christmas, I'm itching for a little neck bling for day-to-day wear. 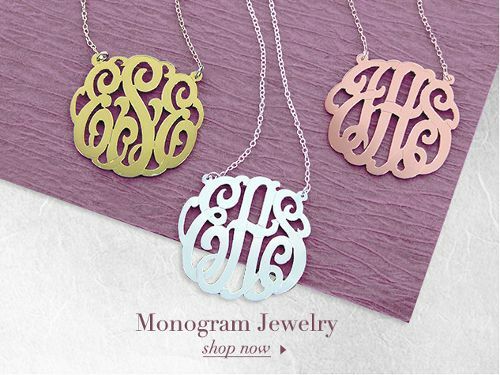 When it comes to monogrammed and name jewelry, MonogramOnline.com is in the top of its class -- from silver and gold necklaces shaped into first names to cufflinks etched with initials. But that's not all the gift-focused website is about - its huge selection of monogram-ready wares include, but are not limited to, iPhone cases, kitchenware, to sporting goods. There is something for everyone!